Quello che ascoltate nel video è il vst ! Quite simply the best virtual violin ever created. This library benefits from producer Chris Hein’s 30 years spanning experience in the field of sampling and library production, resulting in a product offering highest versatility, configurability and practical use. 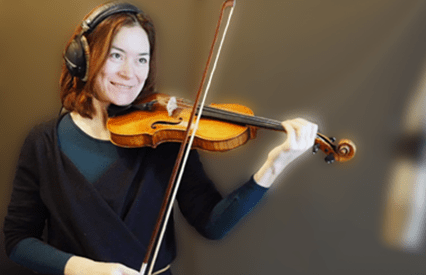 Chris Hein – Solo Violin reproduces the sound of internationally renowned violinist Naomi Binder and her excellent instrument. Thanks to her incredible hearing and unprecedented precision, paired with artistic discipline and routine, it was possible to accurately capture the violin across its full pitch range (up to F6) in all its dynamic facets from most gentle to loudest tones. Naomi Binder plays the violin and viola in classical concerts as well as in crossover projects. In numerous solo performances in the Cologne Arena, Dortmund Philharmonic Hall and many other venues in Austria and Japan, she enchants the audience with her virtuosity, empathy and a broad musical range, varying from classical music to pop and jazz. This entry was posted in kontakt, orchestra, Plug In, Samples Libraries, Software, Tutorial, violini, violino, Vst and tagged archi, campioni, chris hein, colonne sonore, kontakt, solista, solo, strumento virtuale, violin, virtual instrument, Vst. Bookmark the permalink.